Once upon a time, it was not uncommon to walk into a toy store and stumble on a line of action figures that completely surprised you. Perhaps you'd heard a rumor, or expected them in several months, but there they were, in all their glory. It was an exciting feeling, but it's one that's gone the way of the buffalo. With forums and Facebook and Toy Fair coverage and constant tweets, there's very little that gets by the average collector these days. You can plot the migration of a Walgreen's exclusive across the U.S. like some sort of action figure ornithologist, predicting the arrival in your area with uncanny accuracy. When something does slip in under the radar, it makes it all that much more amazing. 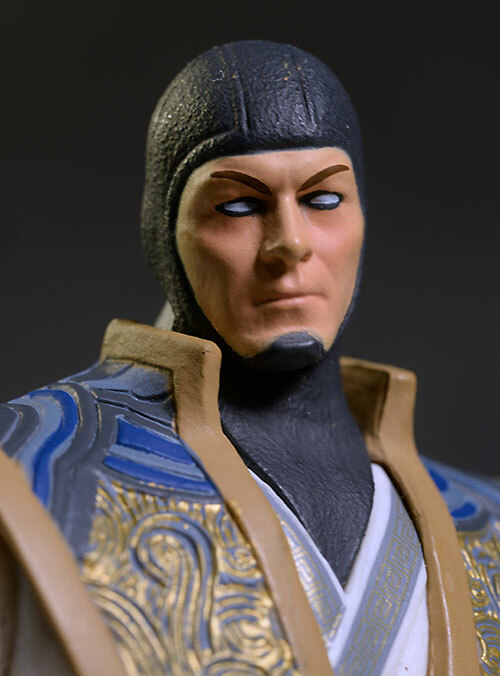 Tonight I'm reviewing one such beast - the new Mezco Mortal Kombat X Raiden. 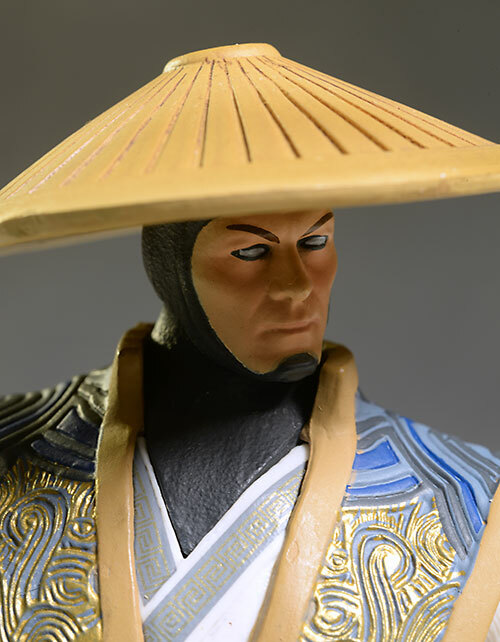 The first wave of this highly articulated 6" scale series is now hitting, and includes Raiden, Sub-Zero and Scorpion, as well as three Previews exclusive variants. They retail for around $18 - $20 each, although you can get some pretty good deals if you buy the full set at once. 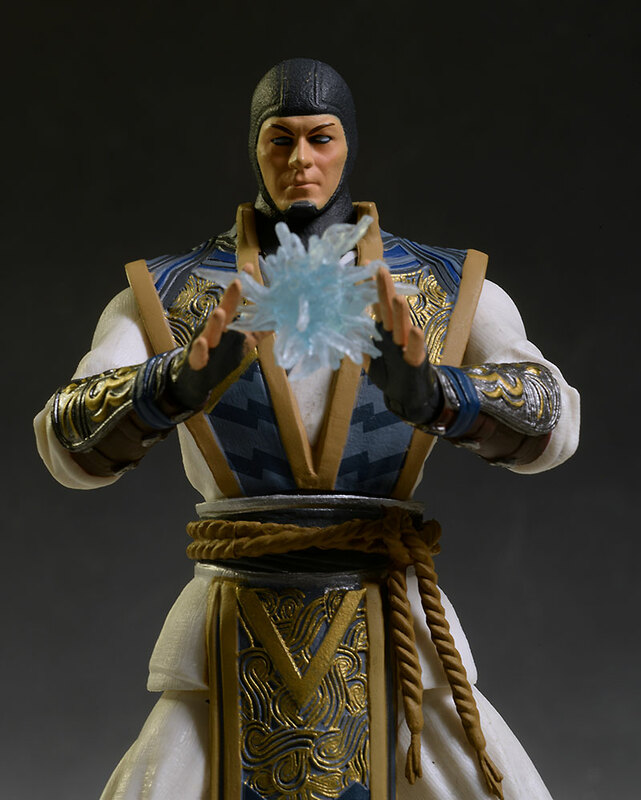 This figure might not be a surprise to you - perhaps it is to me because I'm not a huge MK fan, and wasn't paying all that much attention to what was happening with the property. Or perhaps it's because Mezco was also doing their new One:12 Collective line at the same time, and the bright shiny DKR Batman blinded me. It's not like I missed the release of the new game, since my son loves it. In any event, this guy was a shock - and a very pleasant one at that. The card back/bubble packaging is quite basic, but it does include some reasonable character personalization. I like the logo imprint on the bubble (and the general shape emotes the 'X'), but the basic black background on the card back allows the warning sticker and the age restriction to be a little too dominant visually. 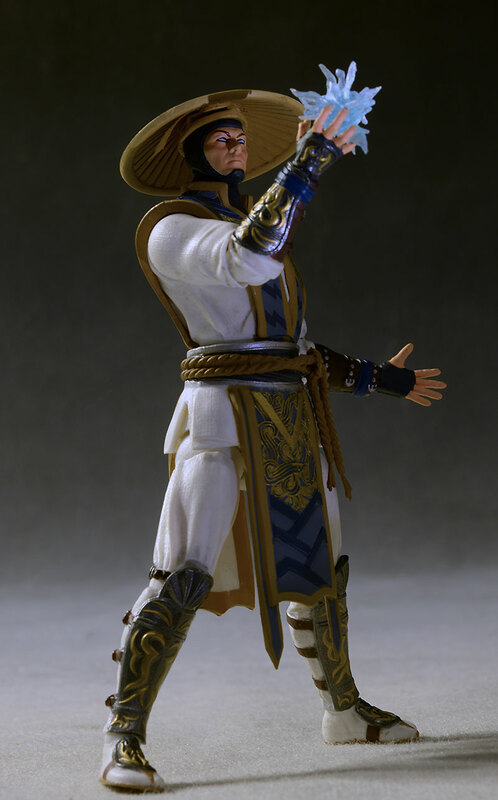 These are done in a 6" scale, and it's actually a true 6" scale with Raiden coming in right about there. Many current lines that are said to be in this scale are actually a little taller, more often 6 1/4 - 6 1/2" tall. 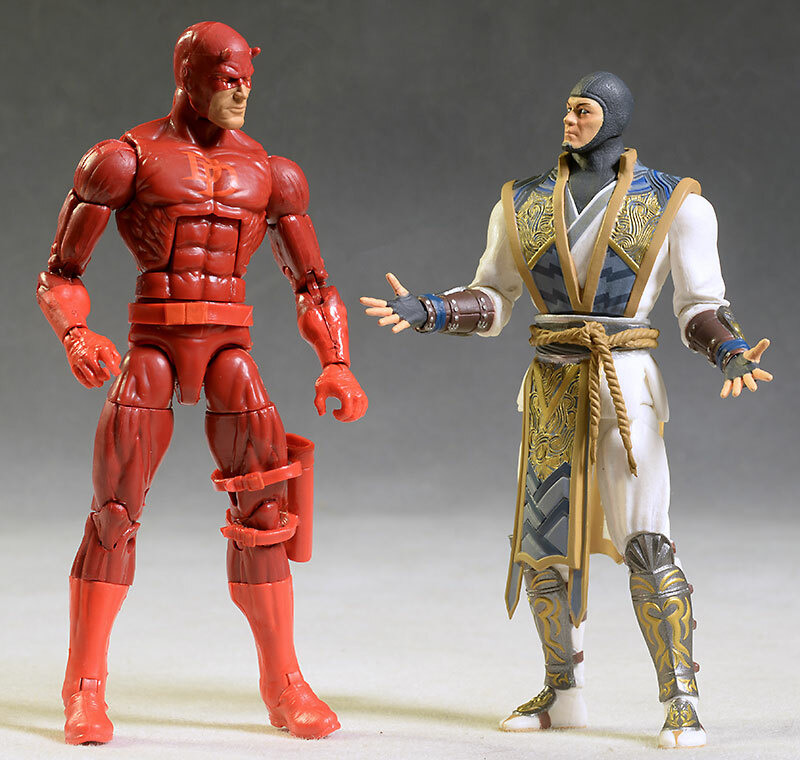 I included a photo with a Marvel Legends Daredevil, but you can always use the Lifesizer feature above to get a better perspective on scale. The detail work on the body is excellent, with the majority of the filigree and patterns on the suit actually cut, not merely painted. Other details on the gauntlets, greaves, and belt are equally as impressive, and they've even included a texture on the cowl. 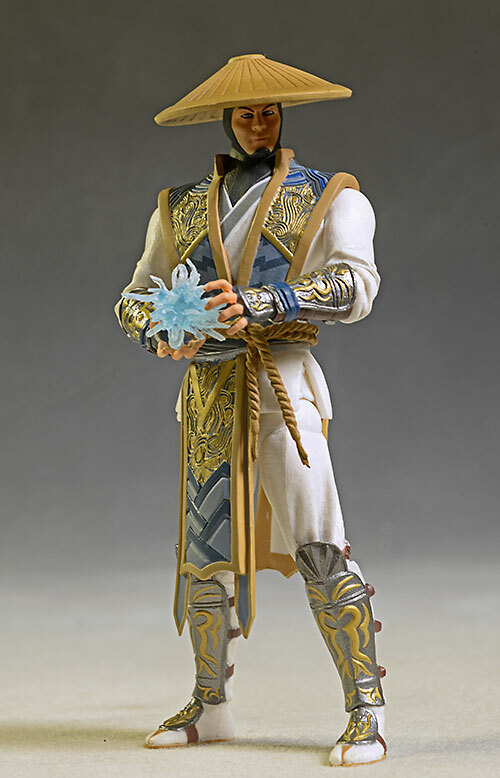 The portrait is generic yet attractive, and the sculpt itself works well with the design of the articulation, creating very few additional limitations. If I had one nit to pick it's that the head is just a little small for the body. I think the wide shoulders of the outfit creates some of this effect, but it's still worth noting. 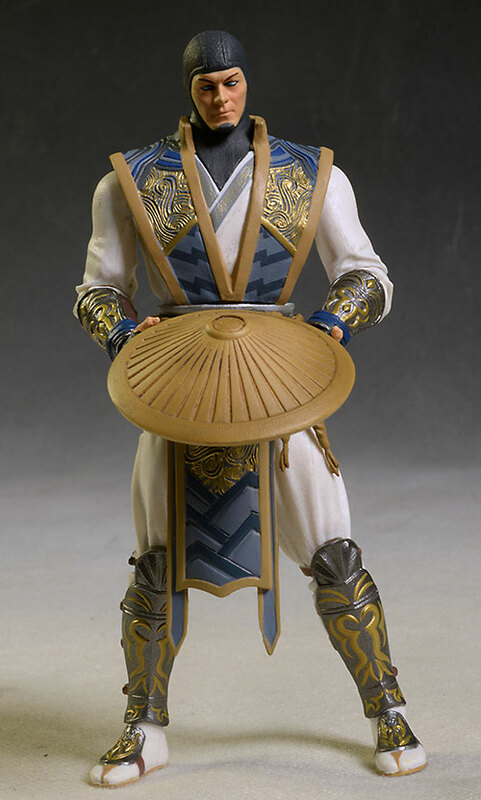 This is a brightly colored figure, with lots of fine detail paint work on the costume. Considering the 6" scale, the number of paint operations is significant, and the clean work impressive. There's a few blips here and there, but in hand none are noticeable. It's only under the unforgiving eye of the macro lens that you'll begin to notice some slip on the edges or one color bleeding into another. The face work is particularly impressive, with the clean eyes and eyebrows. 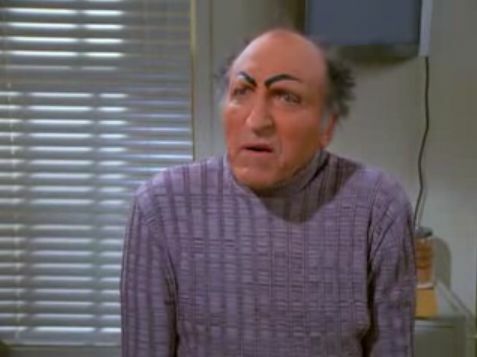 They've used the angle of the brows to emote anger, and this isn't the first time we've seen that technique. There is some wash used, most notably on the hat, to bring out the details, but it's used very sparingly. The clean white uniform looks great, with a nice bright, consistent appearance. The gold filigree is of particular note, especially in hand. Overall, they've done an excellent job with the complex paint work here. Mezco has done a nice job with the articulation, finding a happy medium between Nerd Hummel and "so articulated he's ugly". The ball jointed neck is a bit restricted, but it does have a little tilt and lean to it. The ball shoulders, elbows and wrists (hinge/post style) all have a nice range of movement, and the cut waist works well. There's no ab-crunch, but the costume doesn't allow for it anyway. The legs include ball hips and knees, and true ball jointed ankles. The post is a little short on the ankles, making the sculpted pants are bit restrictive, but you can get some rocker movement out of the feet and with most poses, keep the feet flat on the ground. As I said, this is a perfect medium between lots of articulation that hurts the aesthetic, and perfect sculpting without any joints. A little more tilt in the head and waist would be great, but that's my only nit. 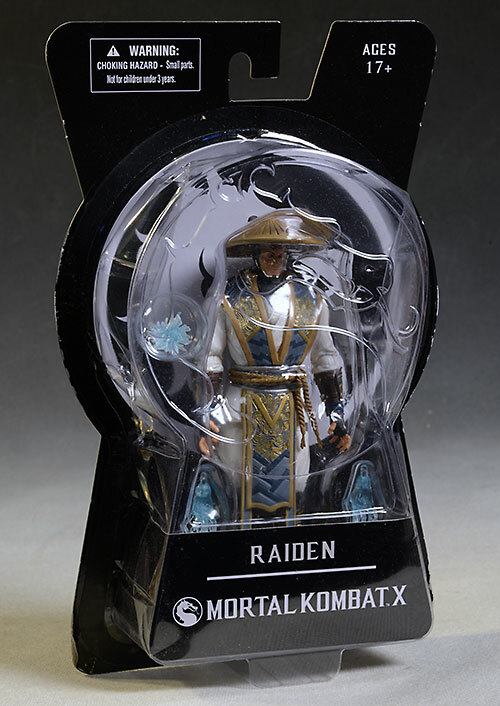 Raiden comes with a pretty high number of extras at this price point, and all of them are very useful. He has three sets of hands - the gesturing pair he comes wearing, as well as a set of open hands and a pair of lightning hands. They swap easily, and I had no fear of breaking a post. There's also a ball of lightning, and the right gesturing hand has a hole in the palm. A short post on the ball can be inserted, ensuring he can hold it in any pose. Finally, there's his hat, and the headband is designed to fit perfectly over his head and keep it tightly in place. Scale looks great too, and he can even hold it in his hands. Great sculpt, great paint, great articulation, great accessories - this figure has everything to make it a fantastic toy. While not a lot of kids will get to play with these, collectors and fans will have a great time working out the perfect poses, particularly with two or more figures squaring off. I'm going to assume you pay around $20 each for these as individual figures, and at that price, they are right in line with the current 'collectors' market. With great articulation and paint, as well as a decent number of accessories, these will hold their own in the Value category. If you manage to get them for $18 or less (more likely if you buy all three as a set), you can add another half star to this category. Not a thing - everything is sturdy and solid, with no weak joints or soft plastic. None of the joints were stuck either, and he worked great right out of the package. What's better than being surprised by an action figure series you didn't expect? Being surprised by one that's also of exceptional quality! These figures combine great sculpts and paint work with extremely well designed articulation and a nice assortment of extras. Mezco has found a happy place between statue and hyper-articulated action figure where the sculpt and posability can live in harmony. They are also doing all this for a reasonable price, something that seems to be less and less possible these days. 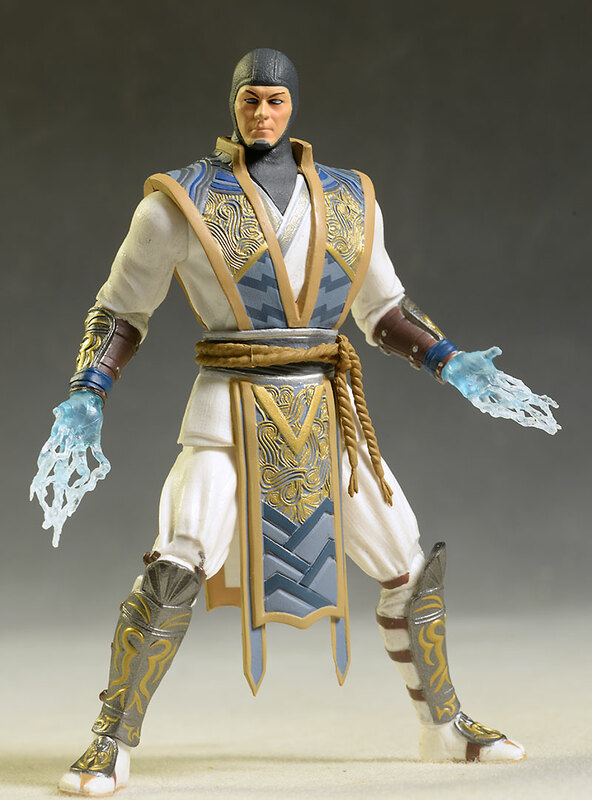 If you're a big Mortal Kombat fan, these are definitely worth your attention. - has the singles for $17. 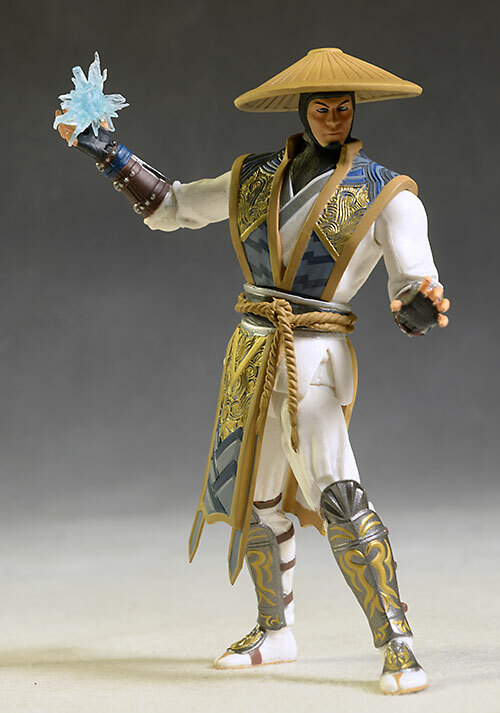 - has the set of three regular figures for $53, and three variants including this Raiden for $59. They also have the singles for around $19. 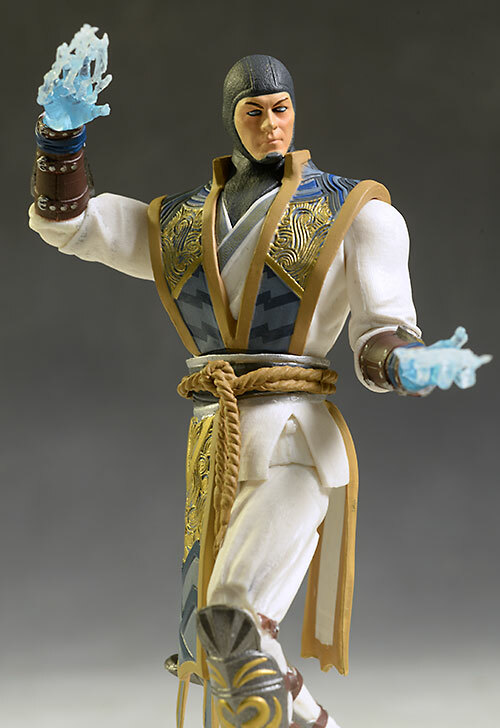 - Entertainment Earth has the regular Raiden for $19, and the exclusive for $20. 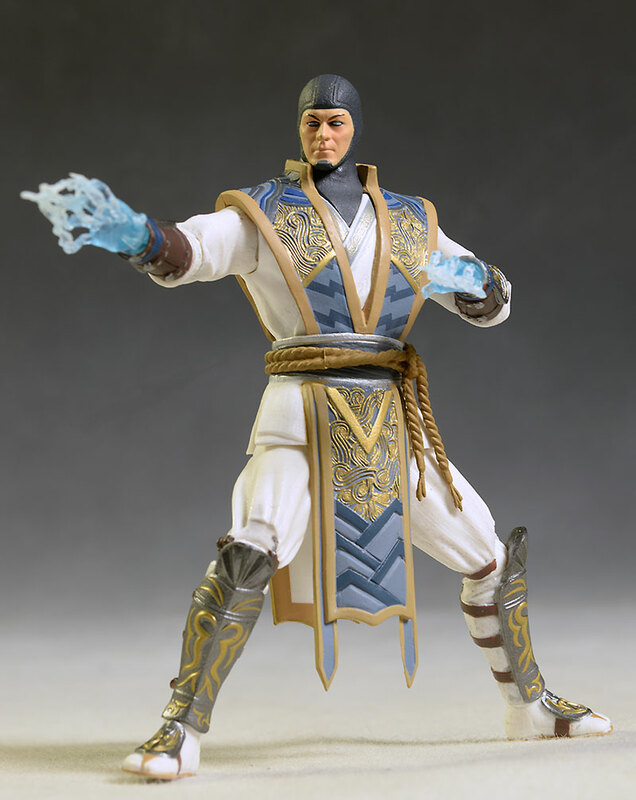 Other Mortal Kombat related reviews include my reviews of the life size Sub-Zero bust and the life size Scorpion bust (both from PCS), a guest review of the Raiden and Scorpion figures from Jazwares, my review of Baraka and Sub-Zero figures from Jazwares, my review of Kung Lao and Liu Kang, and finally, my look at the PCS 1/4 scale statue of Shao Khan.